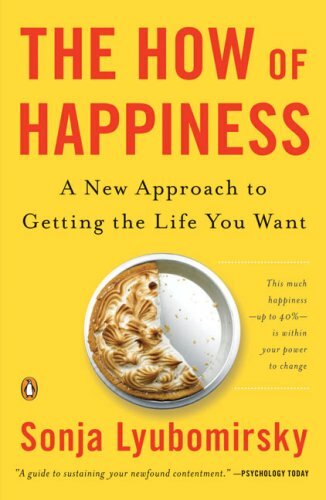 I am not a specialist in this subject but “the how of happiness“ by Sonja Lyubomirsky was a good overview of what is positive psychology to me. It was the book that hooked me on the subject. But the beauty of it is that it is based on empirical research. It spoke to my left brain giving it loads of experiments and numbers to crunch. And it talked to my right brain because it’s all that has been great with my life lately and it was written black on white. I loved that book. I highly recommend this book to those of you who want an entrance door to positive psychology. Il me semble que le livre a été traduit en français « comment être heureux et le rester ». Il existe en poche. Perso, je ne l’ai pas lu (mais ça ne va pas tarder ! ), néanmoins il me semblait sympa de signaler l’info.